Nothing conveys summer like the sweet, bright fragrance of basil! 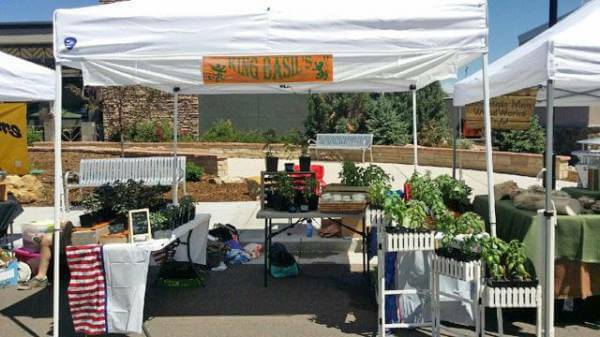 Today’s Farm Stand Friday will feature King Basil’s, a local company that grows beautiful organic basil. They sell 12 varieties of live basil plants, handmade basil salt and packaged fresh basil. CLICK HERE for recipe suggestions that include traditional basil pesto and an amazing sounding Italian-style ragu meat sauce! Today’s event will also feature Judy Purcell, author of the Serve and Savor cookbook as well as the gorgeous food blog, Savoring Today. She will be sampling grilled chuck steaks featuring her own meat rubs (such as her delicious Smoked Chile Steak Rub) available for purchase. You can also talk to her about signing up for her August 13 wild-caught fish and seafood grilling class, CLICK HERE for details. Returning vendors will include Prospect Farm and Galileo School Gardens, now with growing piles of seasonal produce to share! Looking for more ideas for all of that fresh basil? Judy Purcell has a great recipe that combines fresh basil with zucchini squash, two items that are so abundant this time of year… To see her recipe for Italian stuffed zucchini squash, CLICK HERE.